Rise up Miami from eve mosher on Vimeo. 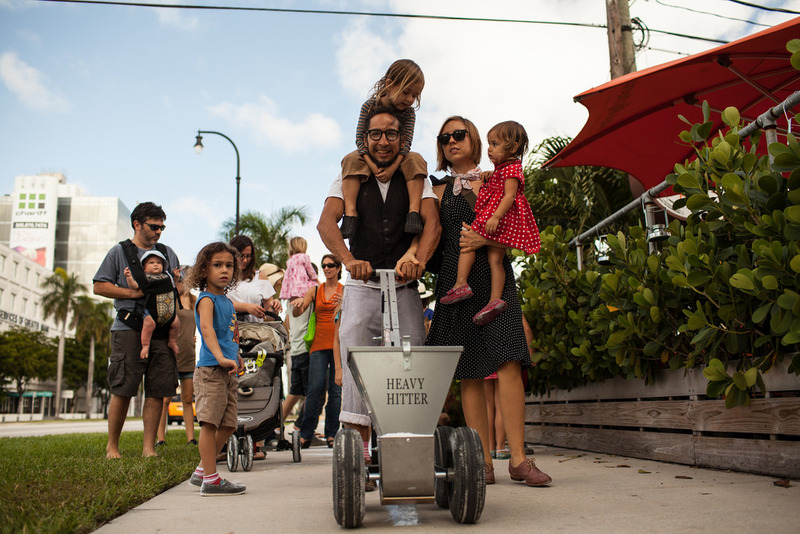 In 2013 HighWaterLine Miami successfully used art to engage greater Miami in lively conversations about the climate change impacts to Miami as well as inspired solutions to building a more resilient community. The city was built at sea level. Miami’s sole source of drinking water lies beneath the city in an aquifer, incredibly vulnerable to saltwater intrusion (when salt water seeps into fresh water). Close to 1/3 of Floridians rely on this aquifer for their drinking water. The video below shows the parts of Miami that will be underwater when a severe storm hits or as sea level rise accelerates. To learn more about Miami’s vulnerability please see the Miami Sea Level Rise FAQs. 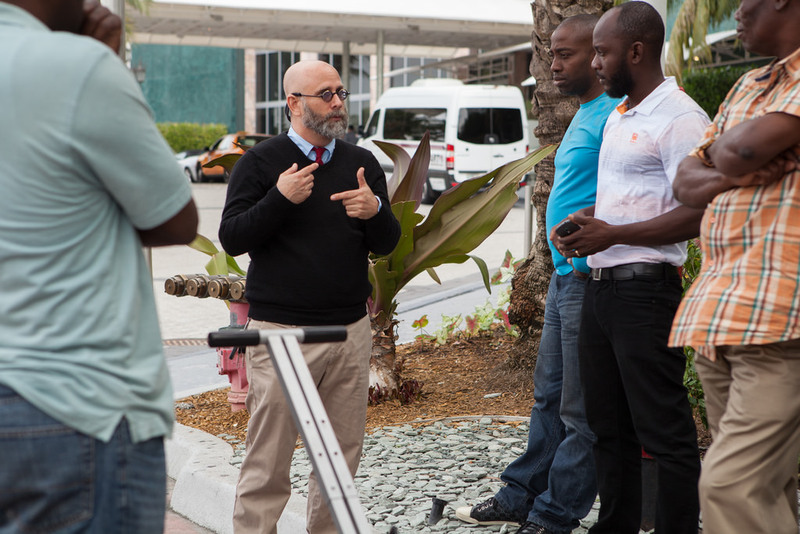 Beginning in the Summer of 2013, diverse Miami residents came together for a series of storytelling and solutions workshops to examine just how their city is and will be impacted by climate change and begin to brainstorm ways to make Miami more resilient. 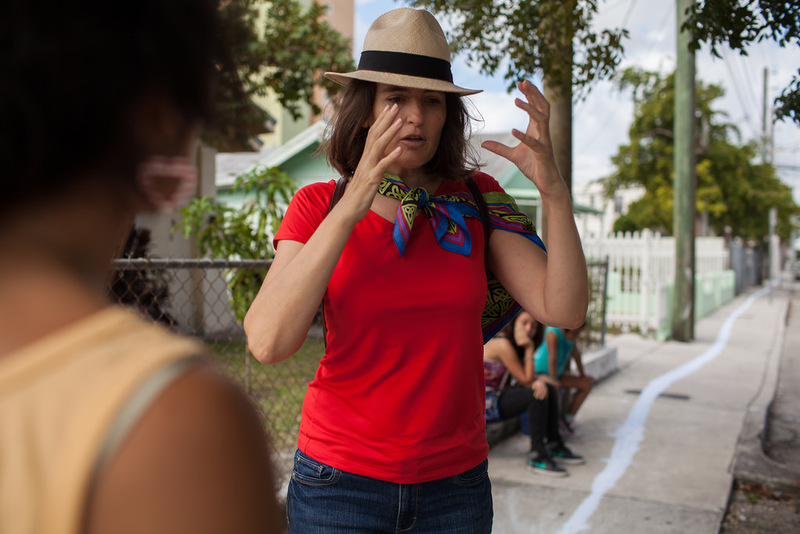 These workshops culminated in a massive public performance art piece the length of a marathon (26 miles) in which neighbors demarcated their homes, historic places and more, that will be underwater in Miami Beach and the City of Miami when a major storm or 3 and 6 feet of sea level rise hits Miami. 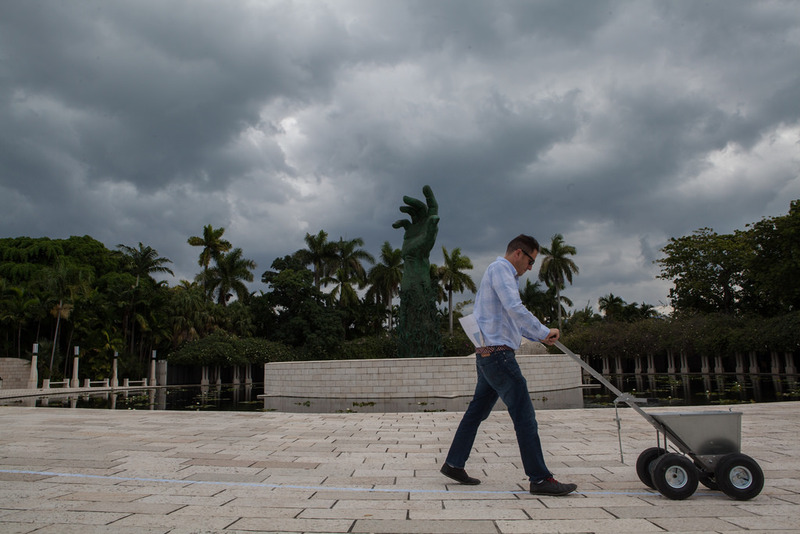 Residents literally took to the streets demarcating what will be lost and engaging their neighbors in conversations about solutions as they drew a massive blue line throughout Miami. HighWaterLine | Miami used the scientific data provided by Climate Central to create the public performance art piece. 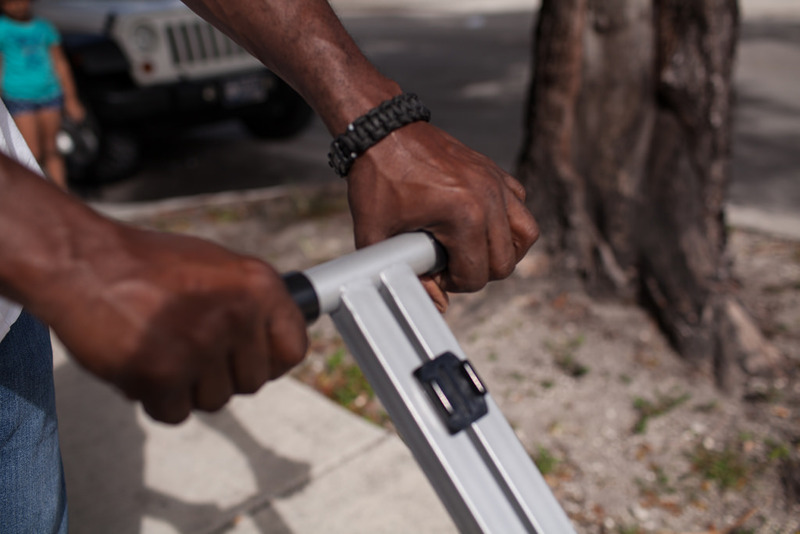 This innovative project sparked the community based group Resilient Miami which is now actively pursuing many of the solutions brainstormed in the HighWaterLine workshops.